Yesterday Microsoft announced some new accessories for your Xbox One. They announced a new stereo headset as well as an adaptor for any of your own headsets (as long as they are compatible). We’ve placed the press release below so you can see what they had to say about the headset and adaptor. LONDON, 11th February, 2014 – We’ve all been there: you want to play Xbox One games while your family sleeps soundly or your roommates study for their exams. 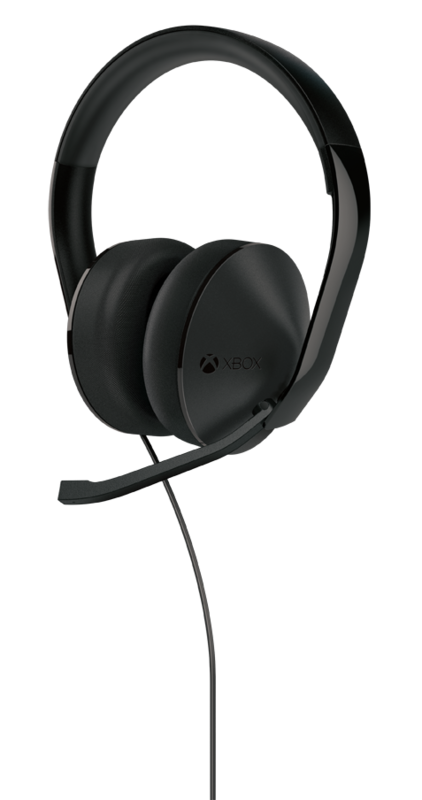 That’s why we’re excited to announce the Xbox One Stereo Headset, which will allow fans to immerse themselves in their games and play at whatever volume they’d like. For our fans that already have a set of stereo gaming headphones they can’t live without, we’re happy to reveal that the Stereo Headset Adapter will also ship separately worldwide in early March. Volume controls on the adapter let you adjust chat volume levels and mute your headset’s microphone without taking your hands off the controller. Simply plug the adapter into your controller and connect your compatible stereo headset to enable fantastic chat audio – thanks to integration with Skype’s audio codec. Add in-game audio by connecting your headset to the back of the Xbox One or to your TV. The Xbox One Stereo Headset will retail for £59.99 MSRP and the Stereo Headset Adapter will be available for £19.99 MSRP.